We Have more than 40 machines and 6 production lines. We&rsquo;re trade assurance: 100% product quality protection, 100% on-time shipment protection and 100% payment protection for you. We&rsquo;re trade assurance: 100% product quality protection, 100% on-time shipment protection and 100% payment protection for you. Wenzhou Lianyu Textile Co., Ltd.
3. OE yarn: 8s , 10s, 12s, 16s, 18s, 20s, etc . 4. Ring spun yarn: 20s, 21s, 24s, 30 s , 32s, 36s, 40s, 60s, etc. 5. 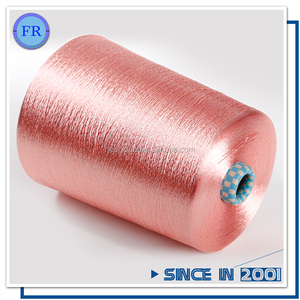 MVS(vortex) yarn: 20s, 21s, 24s, 30 s , 32s, 36s, 40s, 60s, etc. Shantou Gabriel Textile Trading Co., Ltd.
Jiangsu Hongfeng Thread Technology Co., Ltd.
Q:How about packaging details9 A:1conts /polybag,12 conts/carton,or as per customer's requirements. Q:Where's your loading Port9 A:Shanghai Port or Ningbo Port or any one you appointed. Q:What's your payment terms9 in advance 70%balance before shipment). 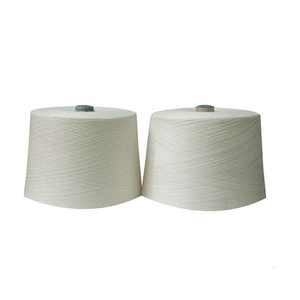 Delievery About 15 to 30 days after confirmation of order Our company & Workshop Hebei Shuang Sheng Import & Export Trade Co. Our cotton yarn, polyester yarn, nylon yarn, acrylic yarn, viscose yarn, blended yarn are famous all over the world. We will always take "the quality strives for the survival, credibility and development" as the management policy, strengthening technical force, improving the quality of products, to provide customers satisfactory products. 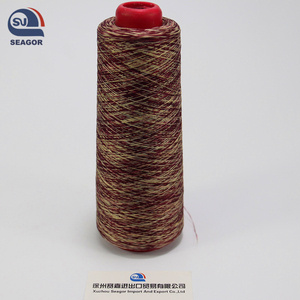 RAW MATERIAL: 100% RAYON FILAMENT YARN DYE:ENVIRONMENTAL FRIENDLY ACTIVE DYE FEATURE: over 10000 colors available,anti-static,anti-worm,anti-mould,high tensile,soft,bright and dull available,safe for children. Packaging & Shipping 1kilogram per cone,16cones per box. 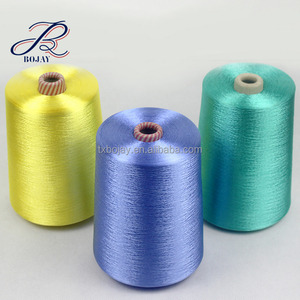 Alibaba.com offers 1,362 wholesale 100% dyed viscose rayon filament yarn products. About 39% of these are 100% rayon yarn, 24% are 100% viscose yarn, and 5% are fancy yarn. 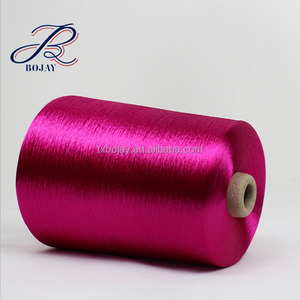 A wide variety of wholesale 100% dyed viscose rayon filament yarn options are available to you, such as hand knitting, knitting, and embroidery. You can also choose from anti-bacteria, eco-friendly, and anti-pilling. 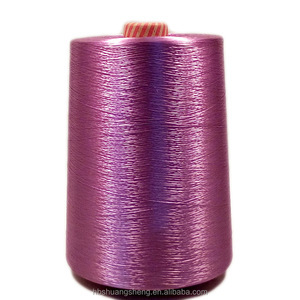 As well as from 100% viscose, 100% rayon. And whether wholesale 100% dyed viscose rayon filament yarn is spun, or filament. 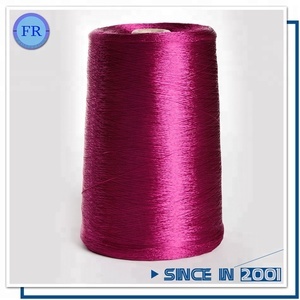 There are 1,344 wholesale 100% dyed viscose rayon filament yarn suppliers, mainly located in Asia. 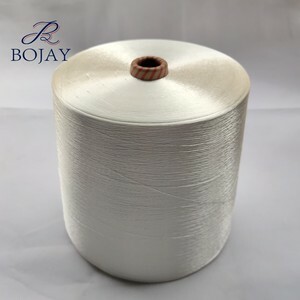 The top supplying countries are China (Mainland), India, and Indonesia, which supply 97%, 1%, and 1% of wholesale 100% dyed viscose rayon filament yarn respectively. 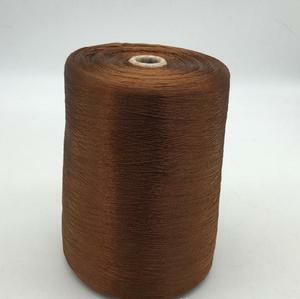 Wholesale 100% dyed viscose rayon filament yarn products are most popular in Mid East, South America, and North America. You can ensure product safety by selecting from certified suppliers, including 68 with Other, 55 with ISO9001, and 34 with ISO14001 certification.